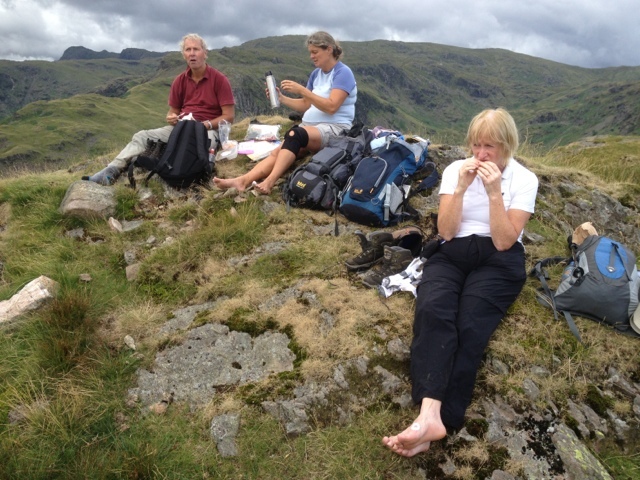 8.4 miles, 4;30 hours, highest point 600 m.
Day 3 of the walk. 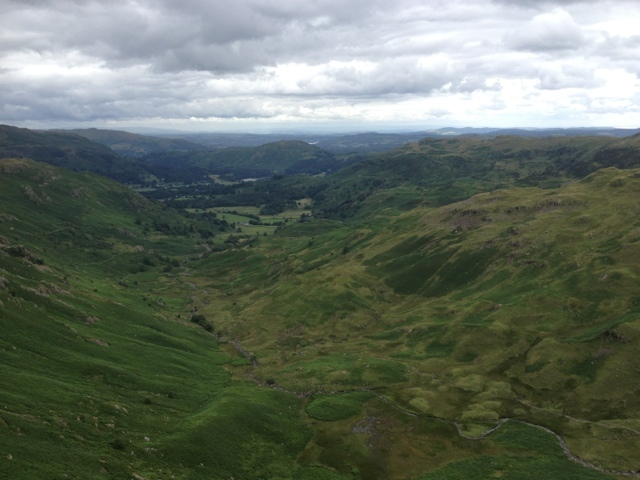 Stonethwaite to Grasmere, via Helm Crag. Short but hilly today. Only 8.4 miles but started with a steep climb up to 600m and then a walk along the ridge with spectacular views. Great walking weather again. Legs are a bit weary but feet seem to be holding up. 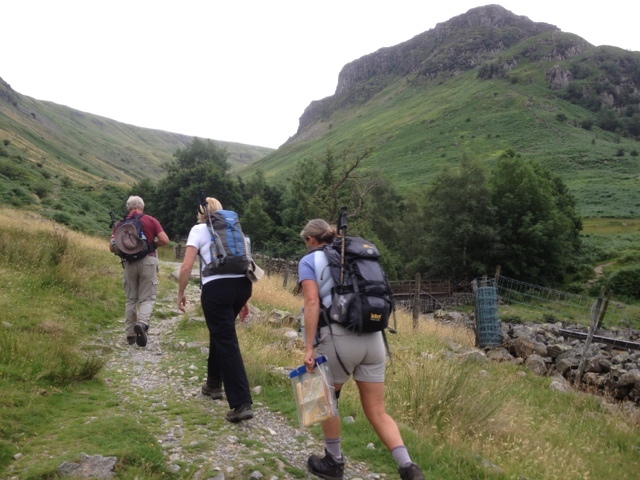 Cap'n Bob leads the way up Stonethwaite Beck. 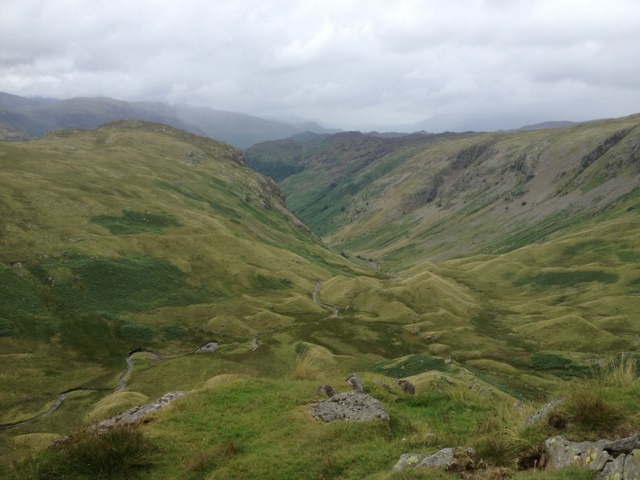 The view back down from Lining Crag. 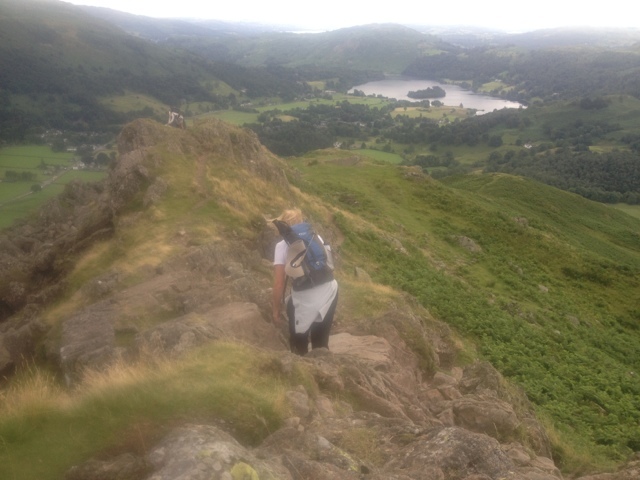 The final descent from Helm Crag down into Grasmere. Staying at the Red Lion, supper at The Jumble Room and another sound night's sleep in prospect.